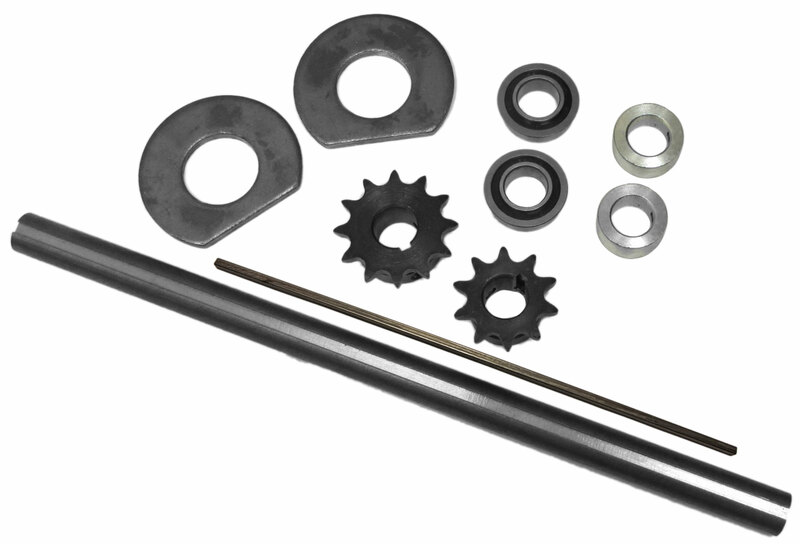 This is an all-u-need kit to install a jackshaft on minibikes that use a clutch instead of a torque converter. The addition of a jackshaft allows a variation of gear ratio, and will also allow you to locate the rear axle sprocket anywhere you want it, instead of being restricted by the engine clutch location. Can be used as a gear reduction, overdrive, or 1:1 ratio. It also can be used on go-karts to allow you to mount the rear sprocket on the opposite side as the engine sprocket. 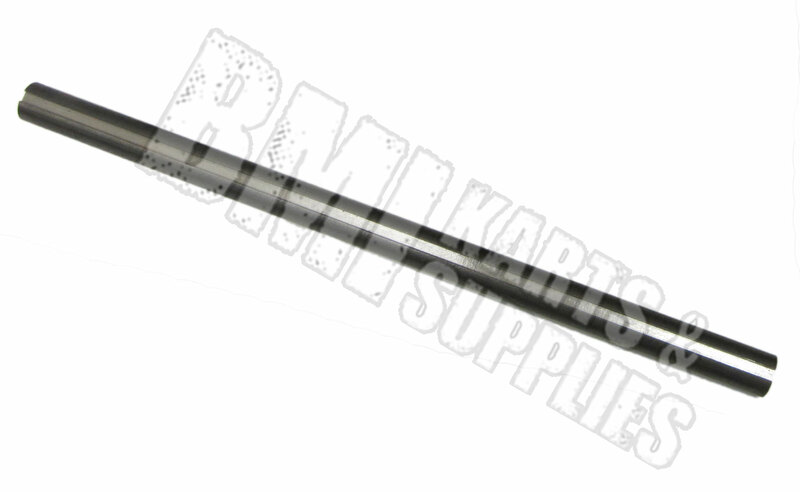 Shaft sizes available up to 24" long. Kit comes with 14" Shaft. Lengths over 14" will cost extra. kit works very well. maybe took an hour to assemble. durable and good quality.